Tabitha Nguche remembers the day she got a desperate phone call from her husband in the middle of the day. “He doesn’t call me often. And when I saw that he was trying to reach me, I sensed something was wrong,” she says. She was right. Her husband, a casual worker in Nairobi’s Industrial Area, had being injured badly at his workplace. “He had sustained a cut on his hand and he had lost a lot of blood. If he didn’t receive medical care immediately, they said they would have had to amputate it,” said Ms Nguche. Luckily, his workmates took him to a nearby hospital. But there was one problem; neither her husband nor his friends had any money on them. “That is why he called me. Asking me if I had any money on me and whether I would send him some. Luckily, I had M-Tiba. I sent him the amount that was needed and before I got to the hospital the doctors had already started attending to him,” Ms Nguche says. 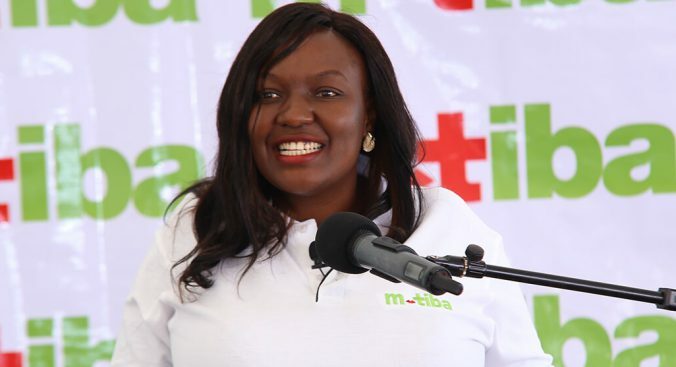 M-Tiba, is a mobile application that helps people save for healthcare. 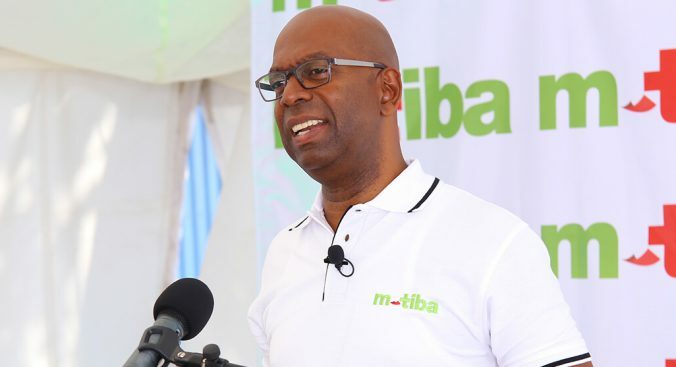 The application, which is modeled on Safaricom’s popular M-PESA platform, is a mobile health wallet that allows users to send, save and receive funds. 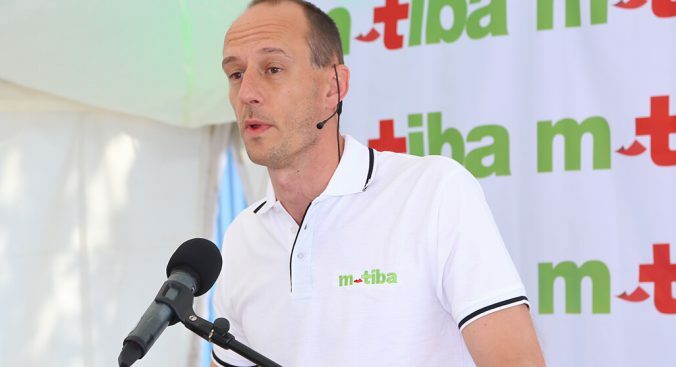 M-Tiba works in such a way that clients activate an M-Tiba account on their mobile phones and save as little as Sh10 per month. People who have dependents such as spouses or children can also send money to their accounts. When an individual falls sick, he or she can approach a health facility and get medical aid by debiting his account. “This is how I managed to get my husband the much needed medical aid,” she says. 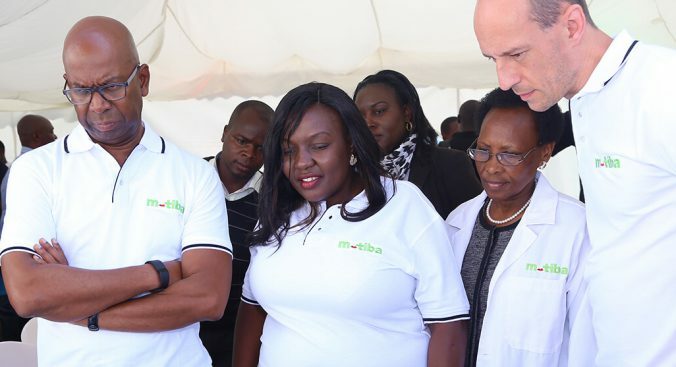 In fact, Ms Nguche says, M-Tiba has become such an integral part of not only her life, but also in the lives of family and neighbours in Kibera. Being an informal sector where majority of residents barely make enough to sustain themselves, such a population would not be an attractive segment for mainstream health insurers. “As residents of Kibera we do not make a lot of money. But M-Tiba has ensured we save for that rainy day,” Tabitha Nguche. Tabitha belongs to a women’s self- help group. She says all of them, after learning about her husband’s medical emergency and how she dealt with it , decided to register for M-Tiba. “She told us about it and we decided to be part of it. We shouldn’t always be borrowing money for medical needs while we can save,” Agnes Opiyo, the chairlady of Upendo Women’s Group, which Tabitha belongs to, says. “As an official, I encourage members to save, not only on M-Tiba but on M-Shwari as well,” Ms Opiyo, chairlady, Upendo Women’s Group. 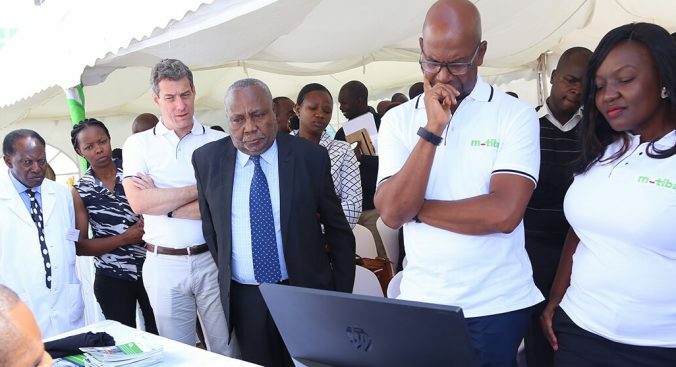 Data from the Central Bank of Kenya shows that 25 per cent of Kenya’s bankable population still cannot access any form of financial services. Before M-Shwari, the ladies from the Upendo Women’s group were part of this statistics. “But not anymore. Now we can save and borrow. We feel valued. We too can access affordable credit to better our lives,” Ms Opiyo, who runs a salon just outside the Kibera Law Courts, says. M-Shwari is a paperless banking service offered through Safaricom’s M-PESA platform. M-Shwari enables you open and operate a ‘bank account’. The platform provides you with the ability to move money in and out of your virtual savings account to your M-PESA account at no charge. This way, one has the opportunity to save as little as KSh1 and earn interest on savings. Account holders can access loans of a minimum of KSh100 any time, any day and from anywhere and receive the loan instantly on the M-PESA account. “Without M-Shwari, my business would not have grown to where it is now,” Ms Opiyo says. Behold, a new dawn has broken at Torosei!